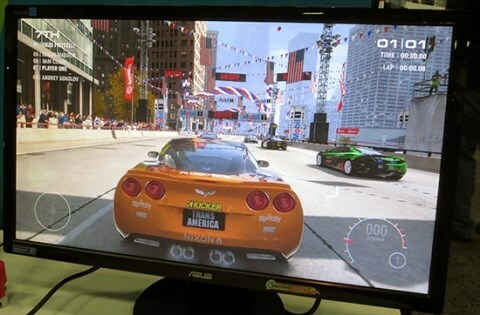 Legit Reviews reports Intel demonstrated GRID 2 running on the integrated graphics of its upcoming Haswell processor at the GDC 2013 conference. Intel showed off PixelSync on GRID 2, a new Haswell exclusive technology that enables more realistic rendering of smoke, hair, windows, foliage, fences, and other complex geometry and natural phenomena by making it easier to properly composite partially transparent pixels. The game played smoothly at 1920x1080 and when smoke was in the scene it did look good. Grid 2 The Intel demo was performed on a laptop, but that is all we really know. Intel was not talking product names, part numbers, performance figures or anything here at the show. So, we now know that Intel Haswell processors have a pair of DirectX extensions that some game companies will be using in upcoming game titles, so get ready for integrated graphics to have features that your discrete card can't do! Never thought we'd ever say that!